Learn the Fastest Ways to Transform Your Body, Your Finances and Your Relationships Anytime, Anywhere with THE ULTIMATE EDGE! 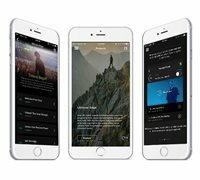 The Ultimate Edge, the #1 personal and professional improvement program of all time. This program will empower you to take control of the internal forces that shape the direction of your life so that you can fully realize your emotional, physical, financial and spiritual potential. Start Your No Risk Trial Today! "I ordered the Ultimate Edge and my life has been transformed. 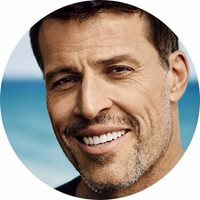 The strategies and highly effective and practical tools that Tony offers, change and improve life regardless of the results you seek." 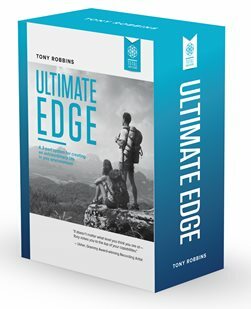 "When I heard the Ultimate Edge felt that I had followed Tony, and I understood, I would have a transformation Now, after almost four months, I feel better than ever. I lost 17 pounds and was upgraded." 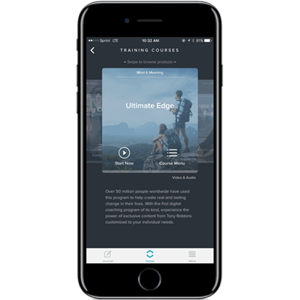 With the Ultimate Edge program, I began to discover that all the strengths and the things I needed could find inside. I feel empowered!" Unlock it on my mobile device! Ship me the CD/DVD version! Just pay shipping and handling and in 30 days, your credit card will be charged in 3 easy monthly payments of $67. Unlock it Today for 7 Days! Just pay the $7 Activation fee and after 7 days, your credit card will be charged in 3 easy monthly payments of $67. "Life produces extraordinary rewards for those who give in extraordinary ways. "